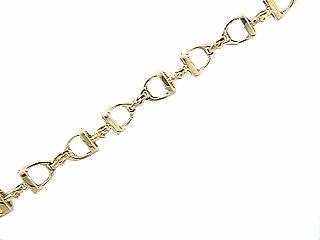 14kt Yellow Gold Stirrups with Buckles and Straps Bracelet. Here we have put the stirrups back to back using the straps for hinges. Offering a totally different approach to how you normally would see them made. 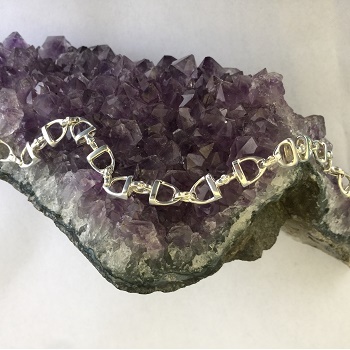 A step up from the usual stirrup bracelet design. Dimensions:1/4 inches wide Standard size shown 7"
Available in 14kt yellow and 14kt white gold and sterling silver.